Since touch down in Australia, I have been incredibly aware of how desperately important it is for our whole family to protect our skin from the sun. We’re all very English in the skin department, me more than most! Keeping the kids protected is a mission (think Ethan Hunt) and it doesn’t get any easier the older they get! In fact, I think it becomes harder. With 2 in 3 Australians being diagnosed with skin cancer by the age of 70, Australia needs a generational sun-safety shift. Once your kids hit a certain age, they need to be able to take responsibility of being sun safe, however it’s not always a walk in the park! We’ve taught our two about applying sunscreen properly, why it’s important, and how often it needs re applying. We have gallons of sunscreen at the ready, enough hats to kit out a footie team, and ‘rashies’ of all sizes fill our swim cupboard. No matter how many hats we have, the kids always end up without one on their head! It’s a constant circus act of taking them off, throwing them back in the bag, hiding them, or “accidentally on purpose” forgetting them. I’ve tried everything. Like all children down under, they are used to the school’s ‘no hat, no play’ policy, but no matter how hard I try, as soon as they’re at home and the sun makes an appearance I’m wrestling with heads and hats. Too hot, too uncomfortable, uncool, itchy, scratchy… I’ve heard it all believe me! My prayers might have been answered. We have just discovered the most beautifully made sun hats which are so soft and easy to wear, the kids actually kept them on…for hours! Yay! “Like many parents, I know first-hand that teaching children to wear hats can be a trying time. I really wanted to make this life skill easier to learn. My research found that familiarising a baby early on with the sensation of wearing a hat is the first step in teaching responsible sun safety skills they keep for the rest of their life. I want to educate parents about this and provide them with the most comfortable and protective hats for children of all ages” Rachel Ellis founder of BedHead Hats. Comfortable hats make a whole world of difference when it comes to keeping our kids sun-smart. Comfort and funky designs. Our kids are a little older now, and like the average 10 and 6 year old, they are all about the baseball cap, and give no thought to the lack of protection it gives. **I took photos of the sun hitting their necks whilst they had caps on, just to prove my point. #mumwin. This summer we’re ditching the caps! Australia has one of the highest rates of skin cancer in the world. Not everyone realises that sun exposure in the first 10 years of life plays a large part in determining your lifetime potential for cancer. Thanks to BedHead Hats, summer is looking like it’s going to be the least stressful for all Aussie (and expat) mums and most sun protected for all kids!! Have a beautiful summer everyone! Bedhead Hats is an Australian, family run business who are taking the sun hat market by storm, and leading the way in sun safety for kids. We just need a couple of adult prints now! *hint!! 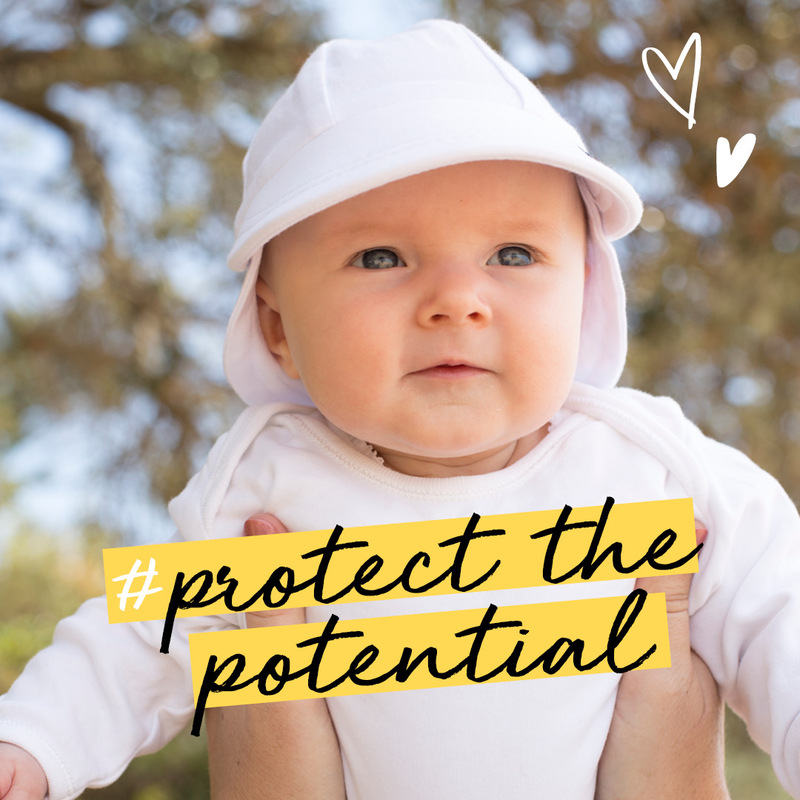 Bedhead Hats established the ‘Protect the Potential’ initiative in 2017 to ensure that Aussie babies get the best start they can to live a sun-safe life. This year, with the help of charities, maternity wards and post-natal services nationwide, Bedhead Hats will provide $200,000 of sun-hats to babies who need them most. Throughout Spring and Summer 2018, a selection of charities, maternity wards and post-natal services nationwide will be provided with UPF50+ newborn Bedhead Hats to distribute to new mums and bubs to start the sun-safety journey of Aussie babies. Additionally, as part of the ‘Protect the Potential’ initiative, Bedhead Hats will be giving away five baby hats a day until the end of Summer through social media. All Bedhead Hats have a UPF50+ Excellent Protection rating, are made with a resilient stretch cotton that grows with the child and an anti-flop brim, all made to suit the hot Australian climate. Bedhead Hats are pram and baby carrier friendly; soft around the neck, while providing sun and glare protection. Wait till you see this…… **The caaaaat!!!! OMG! 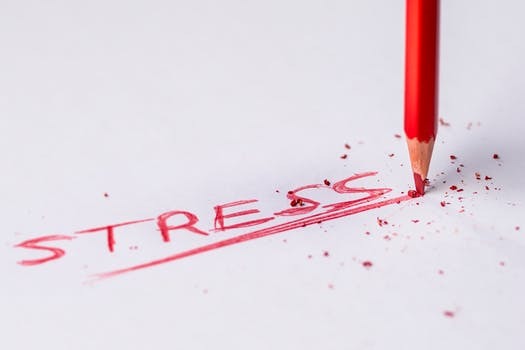 The end of the school year is a massive deal in the life of a kid and in the life of a parent too. That summer term is a killer! The most exhausting (and hot) term of the year, then they throw sports day in to the mix! Hellooooo! The children are tired, ready for a huge break, and in my case, I’m absolutely ready to throw all evidence of the school year in the bin, including the grumpy kids. The smelly lunch boxes and the disgusting pencil case *usually graffitied and full of pencil sharpening’s mixed with blu tac or slime. The little bits of rubbish, the scrunched up homework from week 7 and the reminder that for three weeks of the summer term your child lived on marmite sandwiches alone as the fruit is rotting in the bottom of the backpack. I have been known to open the bin and kiss goodbye to a whole heap of school paraphernalia only to regret not simply washing it come the new school year! This one comes with the lot!! In all honestly, when it comes to my ‘back to school prep” I tend to leave it to the VERY last minute. Mostly because the summer holidays run away with me and I forget when term begins, but also because we all relax way too much and that relaxation turns our brains to jelly! However, when I saw this new collection making it’s way into Tesco, I knew that it would definitely give me, and other UK Mums, the kick up the behind to get in early and sort out the lunch boxes for the new school year. If you’re the person in charge of school supplies in your home, this is where you can gain brownie points from your little darlings and take away the stress of “back to school”. Let’s be honest we all have a love/hate relationship with Back2School. Tesco will be stocking a brand new range of awesome Smash products from Wednesday 25th July.. Yes, that was yesterday!!!! That means you need to grab your diary, NOW, cross out this afternoon’s play date, save swimming for another day, push the movies to tonight, and get to Tesco before they sell out. There truly is limited stock, it’s not a joke! This Aussie style ‘lunch luggage’ is going to bounce out of the supermarket like a kangaroo chasing a wallaby, and you don’t want to be the only parent who forgot about the most ‘Smashing’ lunch boxes in town do you? Show your kids your “Smash Attitude” and be one of the first parents in line for this new range. Sleeping Beauty tells the story of Princess Aurora, who by a single prick of her finger is put to sleep for 100 years. Doomed by fate, only a Prince’s sweet kiss can break the spell and awaken the sleeping beauty. The Wilson’s rugged up and headed into Melbourne to the Comedy Theatre for opening night of Bonnie Lythgoe’s latest Oz Panto, Sleeping Beauty! What a fab family night out! For all you British expats out there, you will be pleased to hear this is proper British panto… with a sprinkling of Oz! If you’re anything like me you’ll get all homesick this time of year. It feels like we should be celebrating all things Christmas but it’s June and not even remotely Christmassy! Having said that, this pantomime is absolutely the perfect ‘winter’ pick me up for the whole family! OzPanto is by no means a cheap imitation of panto; this is true, old fashioned pantomime with all the singing, dancing, cracking jokes and cheesy lines. It’s exactly what winter in Australia needs! Rhonda Burchmore plays the wicked fairy ‘Carabosse’. Rhonda stole the show with her terrfying presence, huge voice and her incredible legs. Yes I said it! Green eyed monster right here! Carabosse brought the theatre alive with “Boo’s” every time she stepped on to the stage, just as panto should be. Kev Orkian as ‘Silly Billy’ made us all belly laugh. There were tears streaming down our cheeks at points throughout, and it was all down to his impeccable timing and hilarious stage presence. The Dancers -Wow, the incredible dancers. The children were full of energy and super talented. Absolute stars in the making. British Expats or Aussie this is a must see! For the Brits it will take you back to your childhood, and for the Aussies, it’s a wonderful introduction to the timeless art of British Pantomime. Bonnie Lythgoe has brought the true magic of pantomime all the way to Australia for our families to enjoy, which means our expat kids aren’t missing out on what used to be a family tradition back home! You’re guaranteed dazzling costumes, stunning sets, magic, breath taking special effects, side splitting comedy, and sensational musical numbers. A massive hit for all ages.